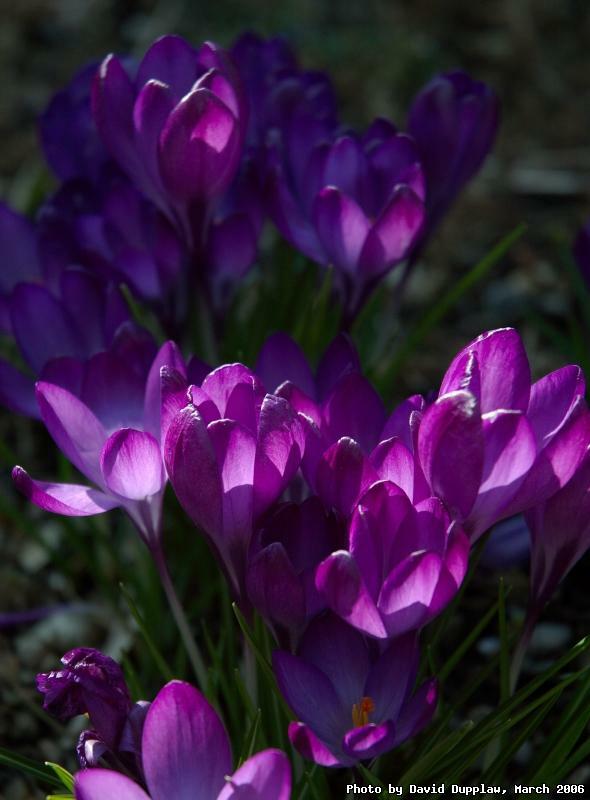 The colour of the croci (or crocuses if you prefer) that have come up in our garden are gorgeous - a lovely deep purple colour. They're dotted around in tight little bunches and I wanted to get a photo that really said 'spring'. The sun dappled through the bushes cast a lovely light on them. The photo's straight out of the camera - no processing.